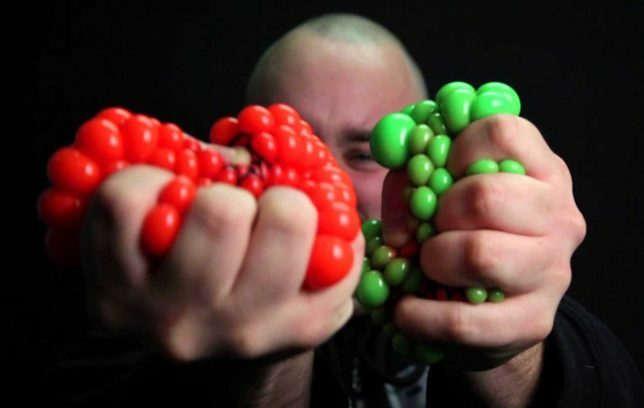 No pro-pain, no gain… as Hank Hill might say. As well, there’s nothing like squeezing a container of pressurized flammable gas to get those heartbeats settled into a lugubrious rhythm. 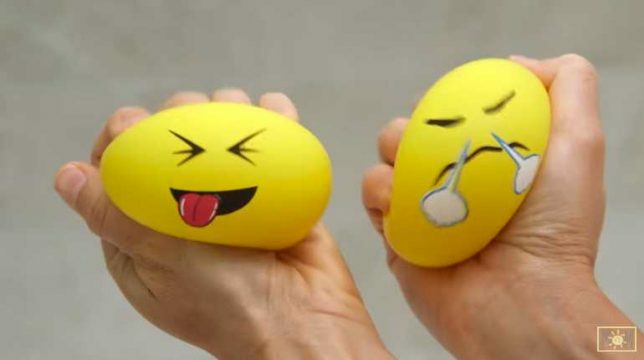 There’s a reasonable explanation to this scene: seems a company called Suburban (not Strickland) Propane donated a truckload of these squeezable, LEGO-head-like propane tank stress relief “balls” to the American Red Cross in the summer of 2015. 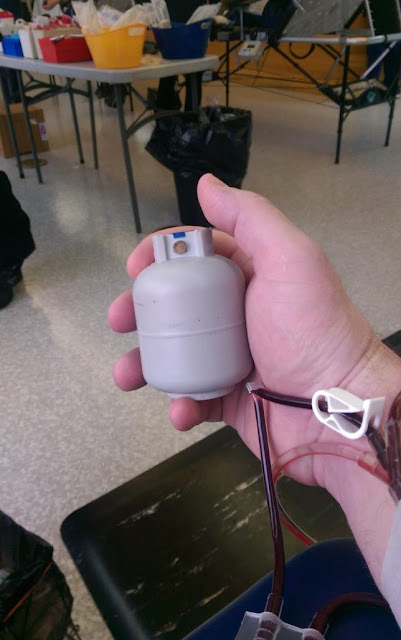 Give blood… you might just get “tanks” in return. Between the TSA’s shenanigans, interminable flight delays and the diminishing quality & quantity of airline food, it’s no wonder air travelers are stressed out like never before. 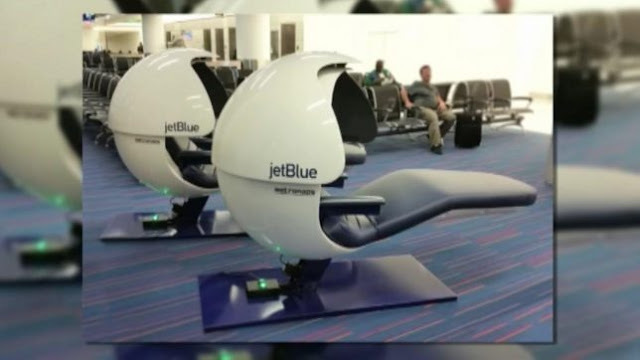 Kudos to JetBlue for recognizing these issues and providing some remedies such as airport Nap Pods and stress relief balls shaped like little JetBlue airliners. 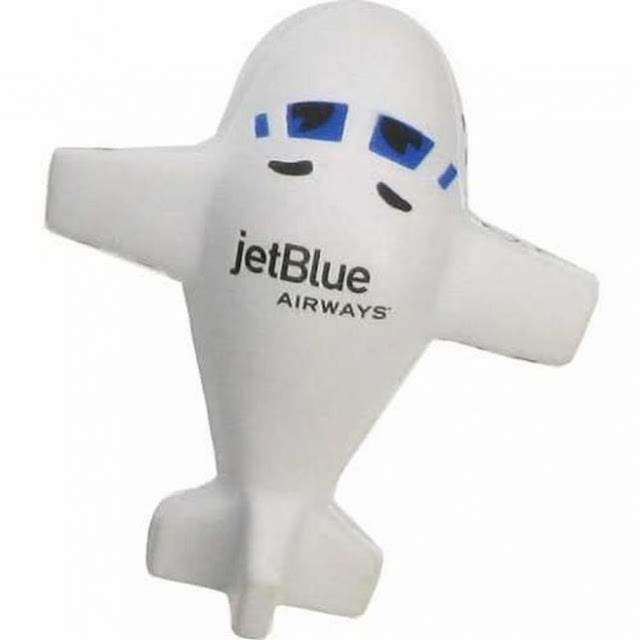 Take out the anxiety of bumpy takeoffs, grumpy seatmates and that damned kid kicking the back of your seat on this cute stress relief “plane” emblazoned with the JetBlue logo. Rumors suggesting the stress ball is actually a voodoo doll are completely unfounded. The Sanqi Elan Squishy Cat Cheeseburger combines all of your fave stress-reducing things into something that simply Should. Not. Be. 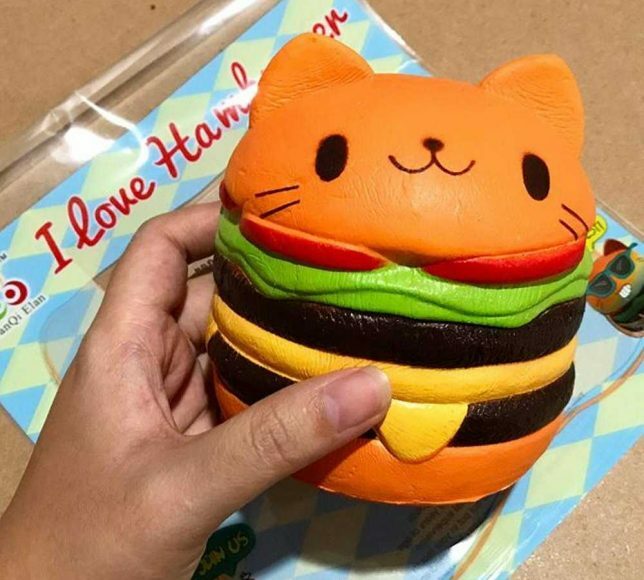 It won’t comfort you like a purring kitten, nor will it satisfy your hunger like a fresh, juicy cheeseburger. So, what does that leave? 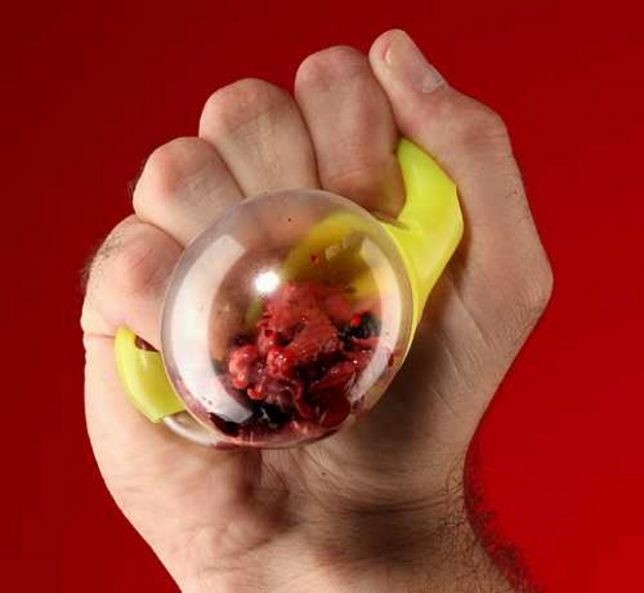 Gratuitous violence, that’s what. 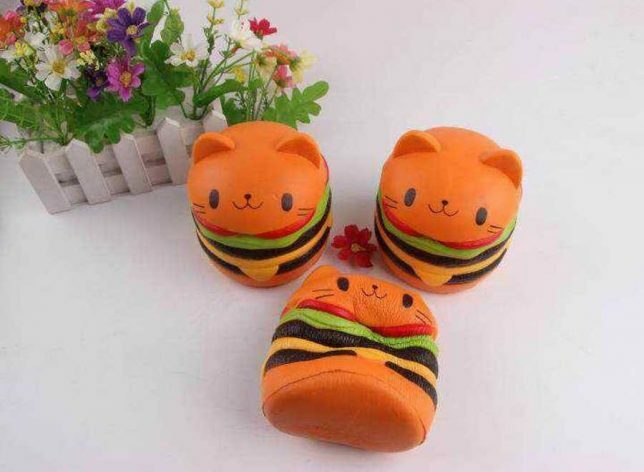 This undeniably cute abomination is from Japan because of course it is. 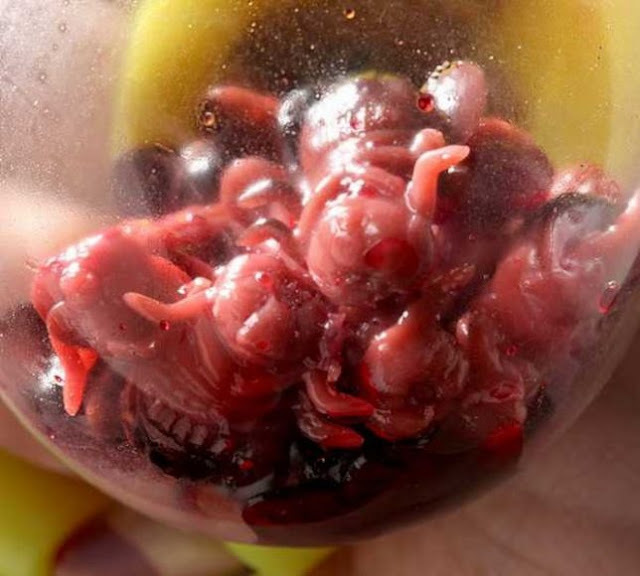 Squish it down to a fraction of its size and watch it slowly and inexorably spring back – with a smile, no less. 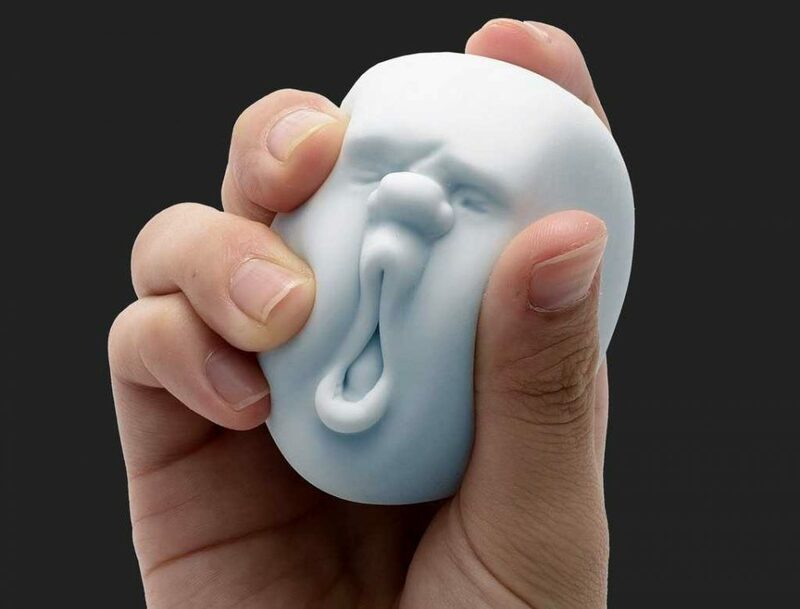 Nice to see fertility clinics have a sense of humor and give out rather unique stress relief balls to anxious clients. 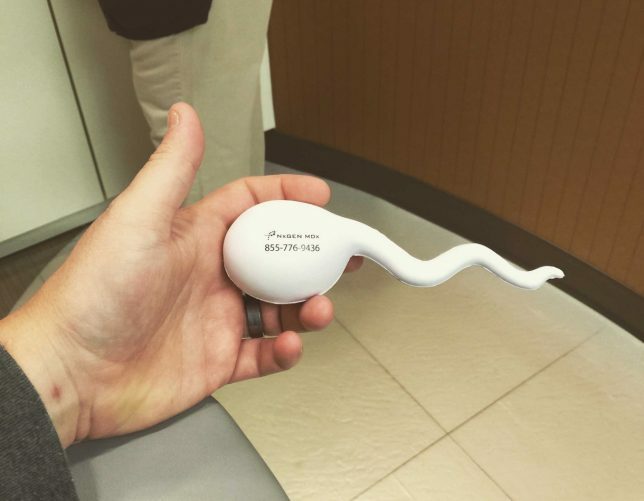 Low sperm count? 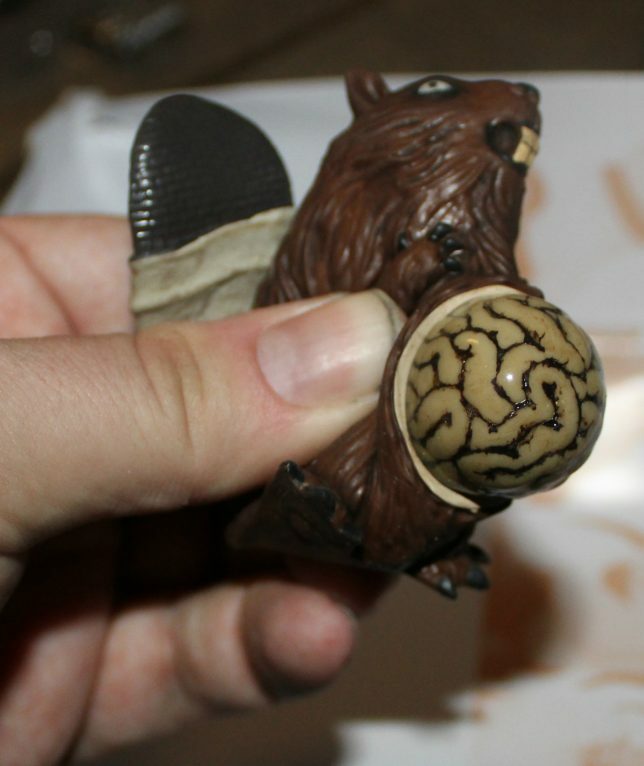 No problem – just stroke and squeeze that li’l guy to your heart’s content. Hmm, maybe that’s how the issue arose in the first place. Save money (and presumably, stress) by making your own stress relief balls at home! All you need is a diaper, and some emoji balloons. The secret lies within the absorbent gel crystals inside disposable diapers. 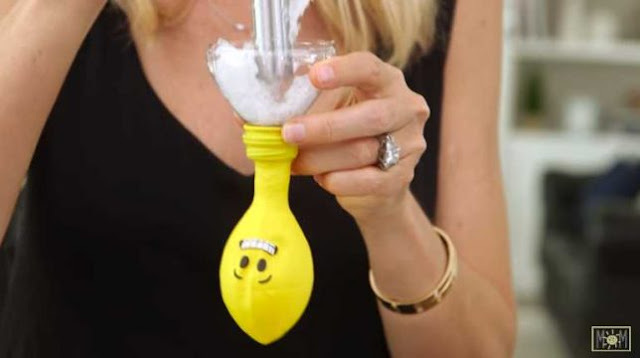 Add water to gel, spoon gel into balloon, tie end of balloon securely and you’re ready to be de-stressed (distressed?). 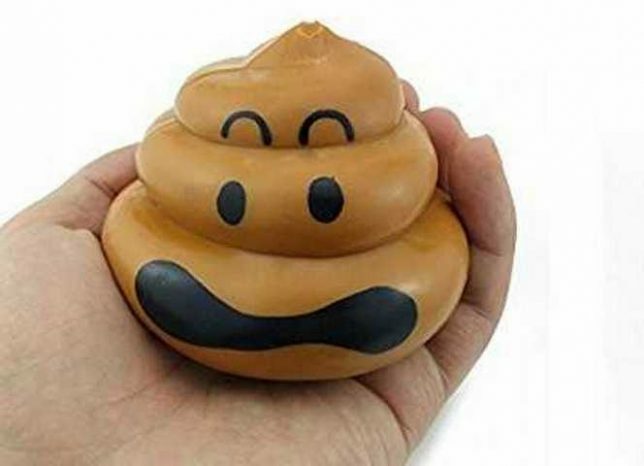 Be sure to source your gel from UNUSED diapers, mind you… the Poop Emoji balloon is an example, not a suggestion. Yep, Infectious Disease Stress Balls, in your choice of Smallpox, Bubonic Plague, Cooties, and the Zombie Virus (whatever that is). Just squeeze the vaguely-insect-eyeish ball and watch in transfixed disgust as contrastingly-colored slime bubbles ooze forth from the cracks. 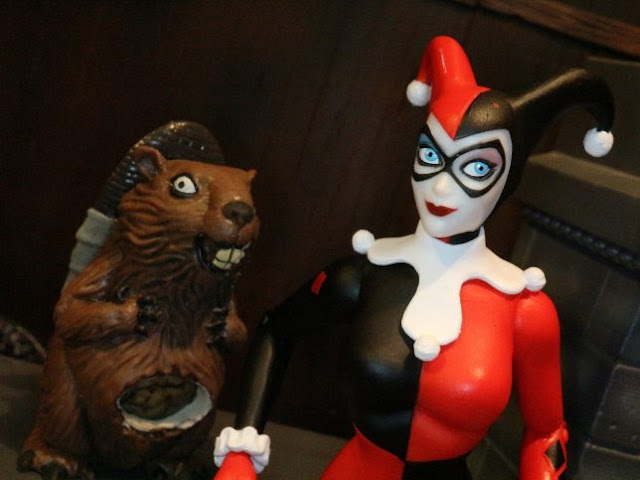 Aww, isn’t that cute, DC Universe character Harley Quinn has a cuddly taxidermied and possibly zombified beaver named Bernie who speaks only to her… don’t you want one too? You might change your mind after getting up close & personal with the sticky icky Bernie “action figure”, part of the Designer Series from DC Collectibles. 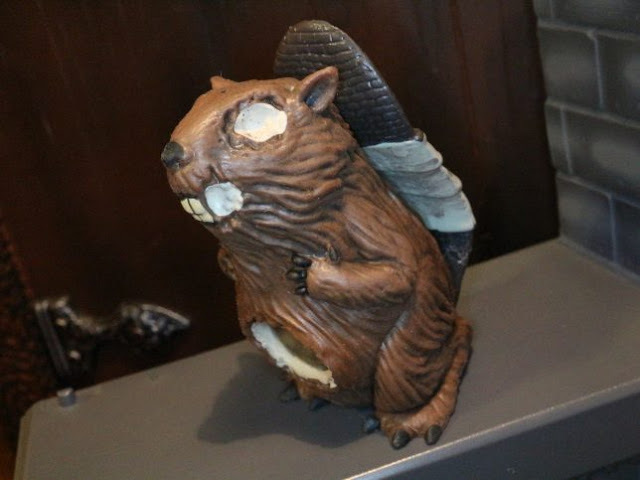 This Bernie figure doesn’t talk but he does have one distinct talent, if you can call it that: when squeezed, a bloated bubble of guts bulges out from his mangled midriff. Relax your now-trembling fingers and the freaky fistula retreats back inside Bernie’s belly. Rinse, repeat, see a psychologist. They say conquering anxiety is all about facing one’s fears… said whomever thought up the Horriball. 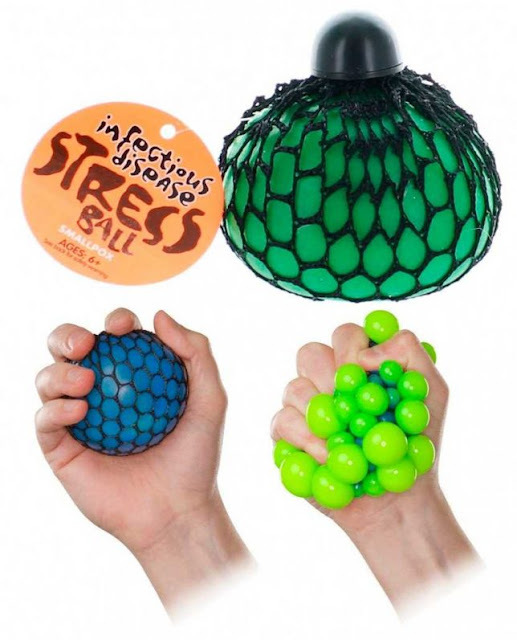 “When your victim gives this seemingly innocent stress ball a squeeze,” according to The Greenhead, “clear bubbles filled with flies, rats, worms, or cockroaches covered in a bloody-looking liquid pop out of the holes!” Yeah, we’ll just keep our anxiety and leave now, mmkay? 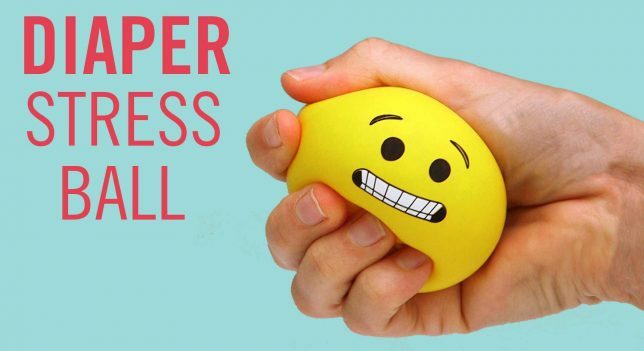 Life’s stressful enough without our stress relief balls freaking us out yet the more we squeeze these creepy stress aids, the more anxious we get. 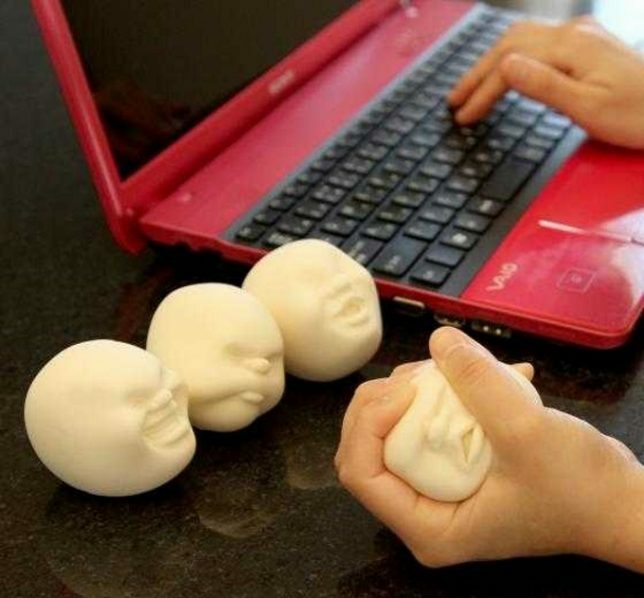 Caomaru means “round face” in Japanese, and these pliable polyurethane resin stress relief balls come in four different molded expressions. If you’ve ever wanted to go full Kids In The Hall’s “Head Crusher” (or “Face Pincher” if you prefer) with an actual crushable/pinchable head/face, Caomaru is the stress relief ball for you! 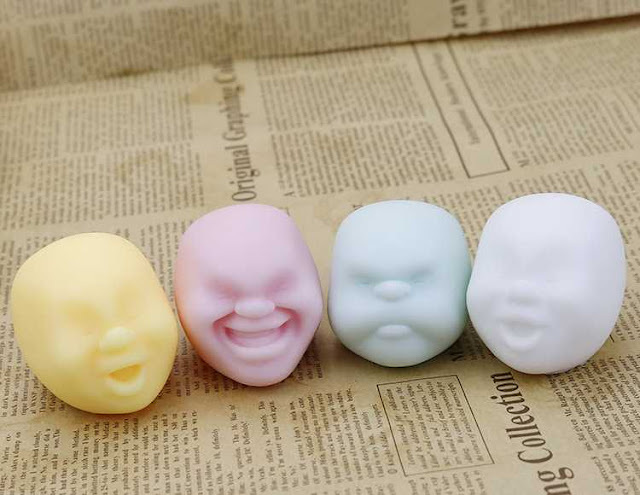 Caomaru comes in a variety of pastel hues including black and beige (for you equal-opportunity haters), and they clean up easily with a little soap and water. You’ll never scrub the stains off your soul, however.